UPDATE! Thanks to your support we've already reached our initial target so we have added a stretch target! We would now like to take our Total to £3,450 so that we can have one Ipad between two in class! 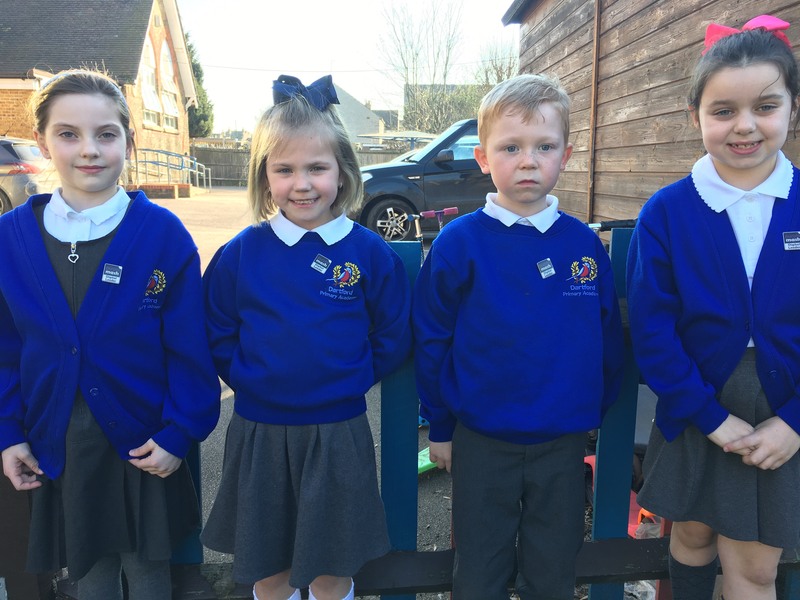 We are a three form entry primary school in Dartford, Kent. We aspire for all children to achieve in a stimulating environment that both nurtures and challenges them, enabling them to become independent and resilient learners. Our key stages are split over two sites (junior and infant) which can make it very tricky to share resources. We would like to purchase at least 5 iPads to enable creativity across our new curriculum in small groups. However, ideally we would love to buy 15 iPads as a class set to allow all the children to benefit from the technology. We have also added in a bit extra to allow us room to buy some AR and VR apps. This is mainly for our infant and early years children to use across the whole curriculum. Our current set of iPads is outdated and therefore does not update. This has led to several challenges when teaching the computing curriculum, let alone being innovative in other areas. We are falling behind the technological times and not able to educate our children with the skills they need. Computing: It would be amazing to be able to experience coding which is vital for the world our children will work in. History and Geography: Imagine if we could bring our classrooms to life through the use of AR and VR apps. English: We would like to experience the things we are writing about through pictures, videos and expeditions on the internet. This would be particularly helpful for our friends who struggle to read. Science: We love science. Help us to travel the solar system, star gaze or travel through the human body. We would also like to leave an extra £100 to buy AR/VR or any other paid apps from the AppStore. If we are successful we would like to increase our iPads for one between two in a class of 30 children. This would take our total to £3,450. Please donate, any amount would be much appreciated as it all adds together to help us reach our goal. However, if you can't donate right now, you can help us in other ways! Share this project with anyone you think would support us. We would love this project to reach as many people as possible. If you know any businesses who would donate or any famous figure who could share the link, that would be amazing. Share the link at the top of the page on Twitter, Facebook, email, your website, blog, mention us in a phone call or even just a chat over the fence! Please share as much as you can. The more people we bug, the more people we reach. Please support us and help make a difference to our students. We appreciate every bit of help. To keep up to date with any news, please follow us on twitter at Dartford Primary or find our facebook page. A note from the class teacher, this could be on paper, email or a shout out on Class Dojo stories. Personalised message from our Digital Leaders. Personal recognition on our newsletter and all our social media platforms (Facebook, Twitter and Class Dojo). VIP at our celebration assemblies.